A few more photos from the shoot I did for Strip Wax Bar, featuring pieces from their activewear range, shot by my talented London photographer, James Barley. Here I’m wearing pieces by We Are Handsome– an Aussie-born swim & gym brand ran by creative husband and wife team, Jeremy & Katinka Somers. Since, summer 2016, when I started taking my fitness seriously again, I’ve had my eyes opened to the benefits of supporting your training with the right diet, proteins and supplements. The Herbalife team were great and paired me up with inspirational Herbalife member and PT, Katie Ford. 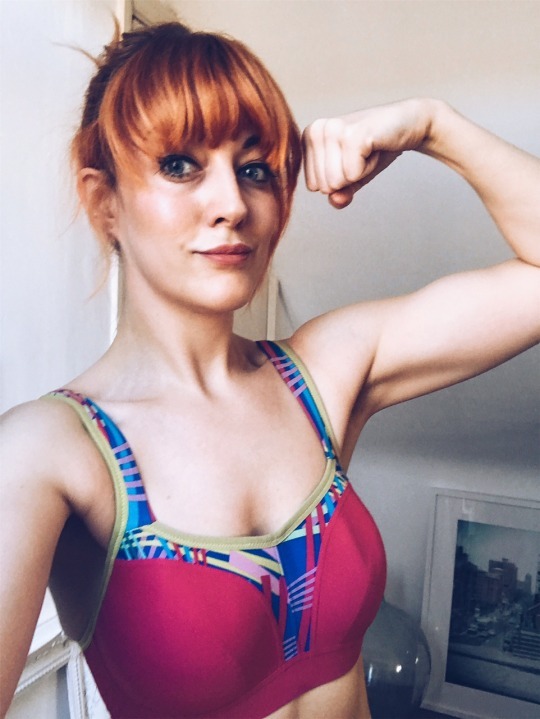 Katie found out what my fitness goals and current training regimed looked like, and then recommended a number of products and supplements to suit my needs. She also put together a great nutrition plan to get my diet on point, so that I would really reap the benefits of my training. My fitness goals were to feel fit and strong, and to look lean and muscular without being bulky – a common misconception from when women think about lifting weights. Herbalife 24 Rebuild Strength - chocolate (25g protein) - Drunk post workout, I found this incredibly tasty! Much nicer to drink than the Vanilla USN and PhD Diet Whey protein powder I’d been taking before. I definitely notice a difference faster, in terms of changes to my physique, when I’m taking a protein shake (paired with a good diet) after exercise, compared to when I didn’t take any supplements at all. Herbalife Formula 1 Healthy Meal - raspberry & blueberry(meal replacement – great if you’ve missed breakfast!) I would often mix myself of these shakes if I had to dash to a morning meeting, and hadn’t had time to make a decent breaky. Herbalife Protein Drink Mix - vanilla – spoon some of this into greek yoghurt or pancakes to add a blast of protein to your diet.) You only need a couple of scoops of this, so it lasts quite a while. Herbalife24 CR7 Drive (carbohydrate-electrolyte drink)- probably my favourite product, I noticed a huge difference to my energy levels and workout performance, when I drank this immediately before exercising. Herbalife Aloe Concentrate Drink- great for cleansing and keeping hydrated, add just a few capfuls to water – it tastes delicious. Herbalife Instant Herbal Beverage with Tea Extracts- swap out your English breakfast tea or coffee for a cup of this pre-workout. Herbalife Formula 2 Multi-vitamin Complex - to be taken with food, these help replenish the body during periods of exercise. Katie told me to try and workout 3-4 times per week – with one of those workouts being in the form of a run. I’ve tried out a few home Kettlebell workouts now, to do with my 7.5kg kettlebell. I decided to look on YouTube for the best 25-30 min HIIT Kettlebell workout to do at home. Here’s the two I rate most highly. If you have any others that I should check out, please drop me a link. HasFit 30 min HIIT Kettlebell Workout - my fave! 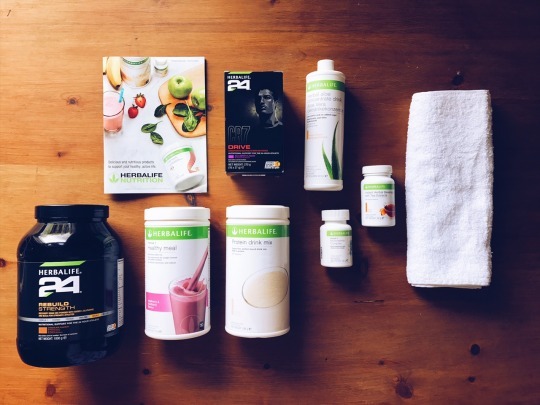 So would I recommend these Herbalife products? If money is no object, and you’re looking for supplements that taste good and do the job, I’d say “yes, give them a go.” They’re by far not the cheapest on the market, and can only be purchased through the sales reps. The quality is rated highly amongst friends of mine who are athletes, so I’d use them again. Especially the CR7 Drive drink – if it’s good enough for Cristiano Ronaldo, it’s good enough for me! Photo: Nadine Hanssen - Athlete and Herbalife rep. Interested in finding out more about Herbalife? Please note, I am not a Herbalife rep. The trial was purely to test out the quality of the products on offer and were sent to me for the purposes of this review.